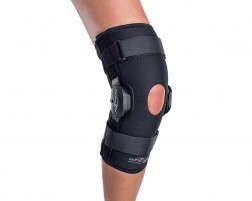 These are the braces, supports, and therapy products we recommend specifically for kiteboarders. Kiteboarding (also sometimes called kitesurfing) is enjoyed by water sports enthusiasts all over the world. It's a physically demanding sport involving nearly all the muscles in the body. The kitesurfer uses the power of the wind and waves to propel along the surface of the ocean, and more experienced kiteboarders may even perform aerial tricks while riding. As with surfing, kiteboarding presents chance of injury for various areas of the body. After all, you're dealing with the natural forces of the waves and are always at risk for injury from impact with the kiteboard. Kiteboarding braces and supports add stabilization to your joints to help prevent injuries while participating in this sport. 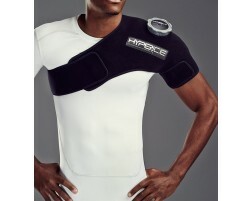 They also offer extra protection for kiteboarders who are recovering from previous injuries. Check out our kiteboarding braces and supports recommended by our brace coaches today.